Chemical peels hands-on training workshop will focus on pertinent anatomy and physiology of the skin, assessment, evaluation, and classification of different skin types using the Fitzpatrick Model. We will explore factors affecting skin health and rejuvenation as well as conducting a comprehensive client history, effective skin analysis, and developing an individualized plan for treatment of aged, acne, rosacea, and pigmented skin. Presentation of contraindications to treatment and management of adverse events. 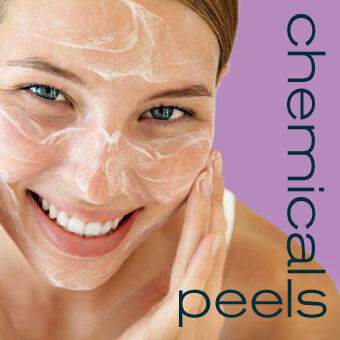 We will explore different types of chemical peels available (Glycolic, Lactic, MFA’s, Salicylic, TCA, Vitamin A Acid, and Jessner) their differences and how they work. You will learn various application techniques for chemical peeling through Practical hands-on session. Tuition fee: $950.00 including course materials and taxes. Certificate: Graduates will receive a certificate from the BC Academy of Medical Aesthetics & Skin Care and a one-year membership from the Canadian Association of Medical Spas & Aesthetic Surgeons.